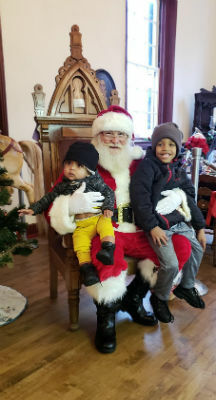 We had a nice turnout for our Christmas Open House this year, despite some not-so-nice weather. 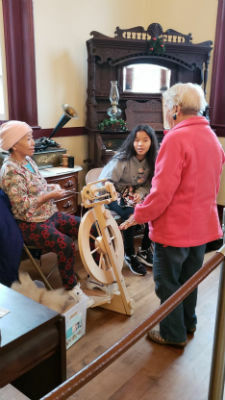 We featured yarn-spinning and word-carving demonstrations, cookies and punch, and of course Santa. This was our fourth year partnering with Mt. Healthy City Schools to work with their third-grade classes. 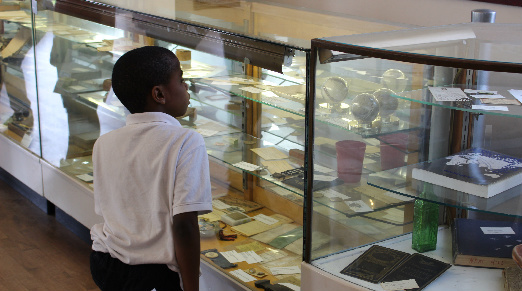 We visited the classes twice during the school year, and in May they came to see our museum. They had great weather on the field trip days and the kids seemed to really enjoy their visits. Thanks to all of the members who came and helped out. Copyright 2019 Mt. Healthy Historical Society. All rights reserved.